Two Roads is a simple and addictive endless arcade game. In this blocky world you will control both cars at the same time by simply taping left or right. Drive through traffic and collect coins to unlock unique vehicles. Increase your high score racing through grasslands, snowy forests and wild desert. We are Xavier and Nicolas, two french students in our last year of business and engineering schools. When we discovered Unity3D last summer, we started developing simple games for fun. As passionate gamers it was the perfect tool to start creating our own games. As it is easy to pick up we were able to learn fast as well as creating mock ups thanks to the huge Unity Asset Store. In September 2015 we decided to take things more seriously. We started a common school project « Entrepreneurship in the mobile game industry ». It was the opportunity for us to combine what we have learnt at school - such as business development and programming skills - and our passion for mobile games development. After months of work on Unity 3D, we are proud to show you our endless driving game 2 Roads. It is already a well known concept but we always wanted to re-create an arcade game that we would love to spend a lot of time on, trying to set new high scores, and of course that people will be able to play anywhere and anytime for free. We would not have been able to create the game without Unity3D. 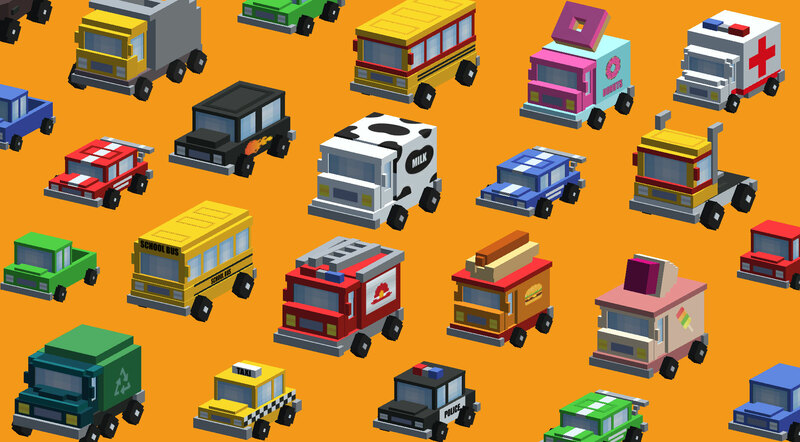 As none of us is a 3D/2D artist, the Unity Asset Store provided us amazing means and inspiration to achieve the graphics hence our blocky/toy cars style. We’re happy to let you know that you have been an essential element of the completion of our master’s degree this year 2016 as well as the release of the game on September 6, 2016. We want to promote entrepreneurship especially in the video game industry and encourage people to create and grab any opportunity that would give them a chance to achieve their goals. We believe that even the most modest idea has a chance to become a great success on the mobile game market. Please give us feedback on the game. As students, our main goal is to learn a lot from this project and gain valuable experience ! Feel free to share our story and let people know how you helped two students carry out their project.